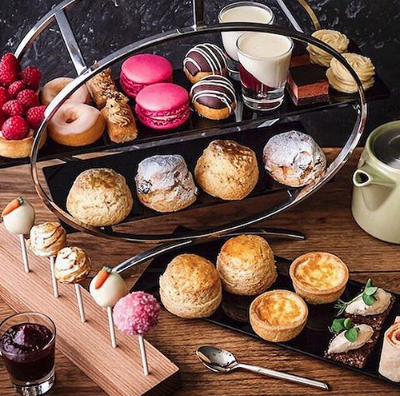 You really are spoilt for choice when it comes to afternoon tea in York, so take this as fair warning, as we're about to make your next tea choice that little bit more difficult. Sorry, not sorry. 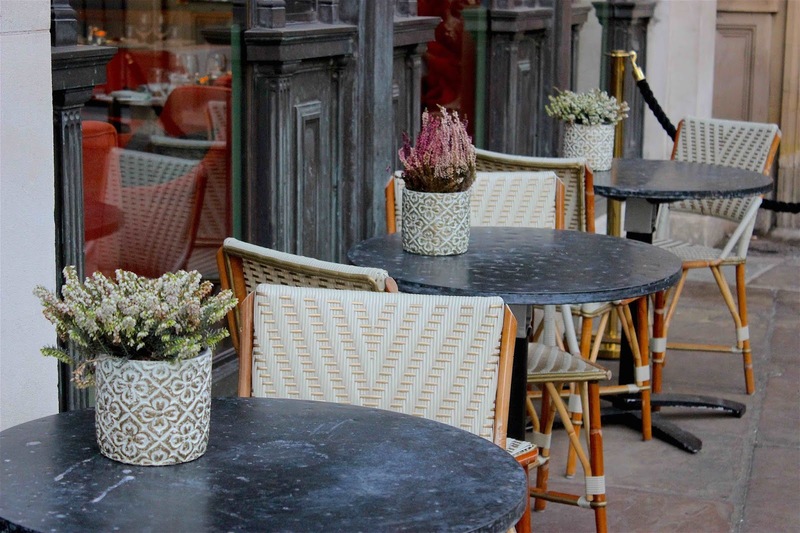 Right as you step into the centre of town, you'll spot The Ivy on St Helen's Square, a sophisticated restaurant that's both a relaxed retreat for lunch and ideal spot for evening cocktails. It also happens to offer a rather good afternoon tea, which we recently went along to try. 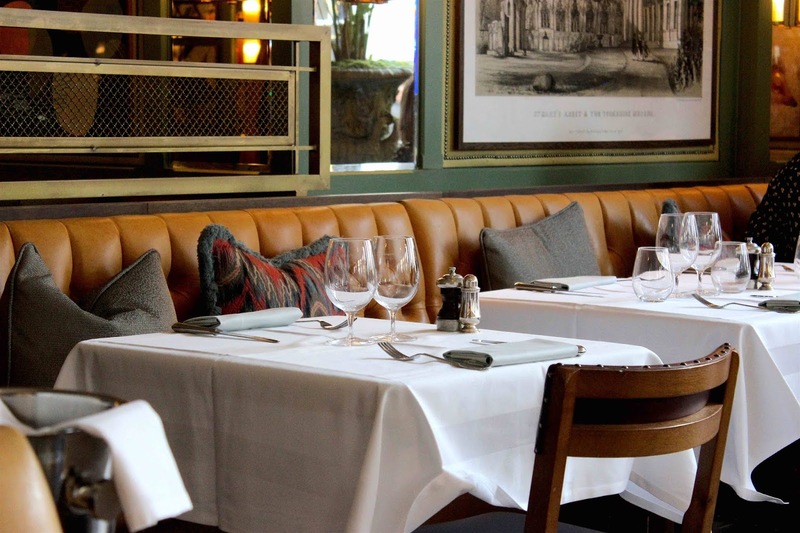 Cosy up on The Ivy's mustard yellow booth seating where the formalities of white linen tablecloths are offset by chunky patterned cushions and walls filled with botanical illustrations and contemporary colourful art. Not to mention the spectacular bar area which is wrapped in an old black and white image of York from years gone by and rows of slender mirrored panels which reflect the myriad of colours around the room. Once seated we were soon sipping on a glass of champagne each and perusing the tea menu. A great choice of traditional and floral flavours and extra points here for having a full description of the afternoon tea food menu too - ideal for bloggers like us who often forget to make notes about the sandwich selection due to being too distracted by pretty food. No? Just us then? For tea we opted for the Ivy 1917 breakfast blend and Ivy afternoon tea blend. First up, the savouries. 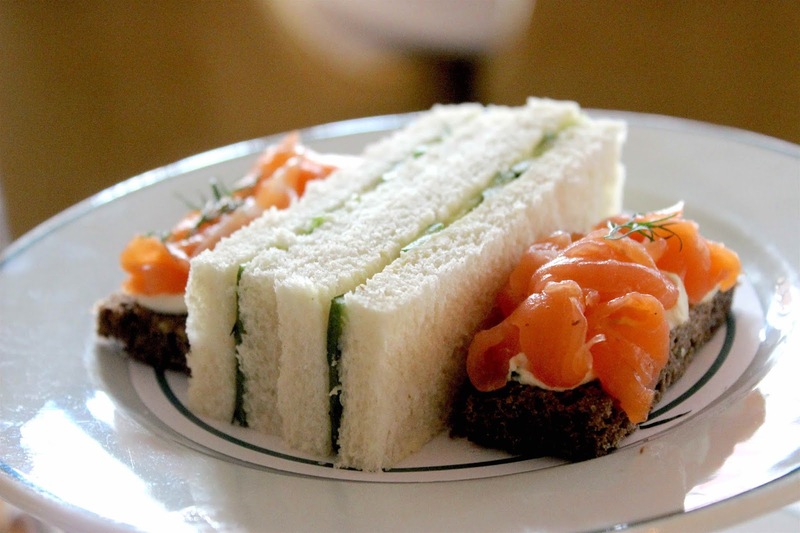 The sandwich selection was good, if a little small, consisting of a delicious truffled chicken brioche roll, classic cucumber and dill finger sandwich, and open salmon and cream cheese on dark rye. 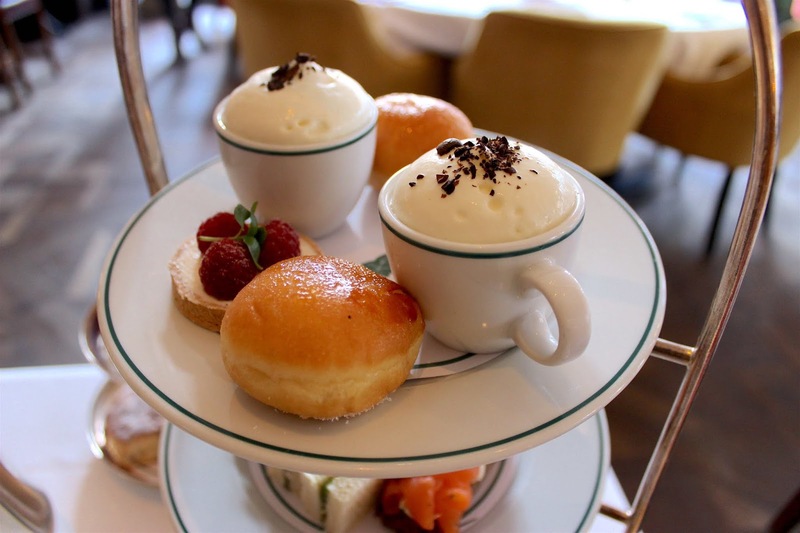 While we would have liked to have seen a little more quantity on the savoury side, maybe a small pastry or another classic finger sandwich, you certainly could not argue with the quality of these afternoon tea favourites executed with a heightened sense of style. For the scones, we won't lie, we found ourselves wondering for a moment if these were shop-bought or home-made, but it turns out The Ivy's perfectly proportioned fruit scones are in fact freshly baked. Presented on a separate cream tea stand and served with sizeable dollops of Dorset clotted cream, strawberry jam, and fresh strawberries, they did not disappoint. For us, the top tier ticked all the important boxes of an afternoon tea sweet selection. You've got your fruit, something chocolatey, and traditional flavours done with a twist. First, we had been eyeing up those crème brulee doughnuts from the second the stand arrived at our table and they were so good, we wish we could have taken more home! Followed by the raspberry cheesecake which added a little crunch and refreshing dash of fruit, and finally, the chocolate and salted caramel mousse, presented like cappuccinos in mini espresso cups, which were a nice way to finish. 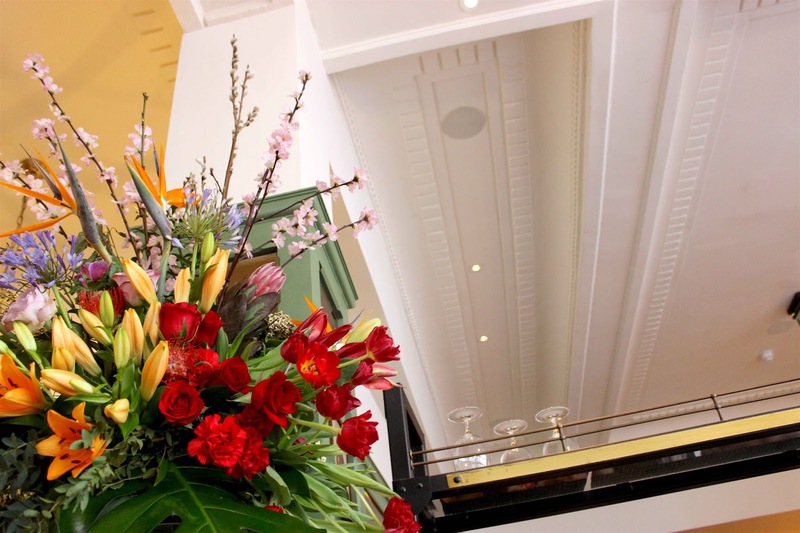 Overall, our experience at The Ivy was great. The surroundings are beautiful and the staff were wonderfully attentive. 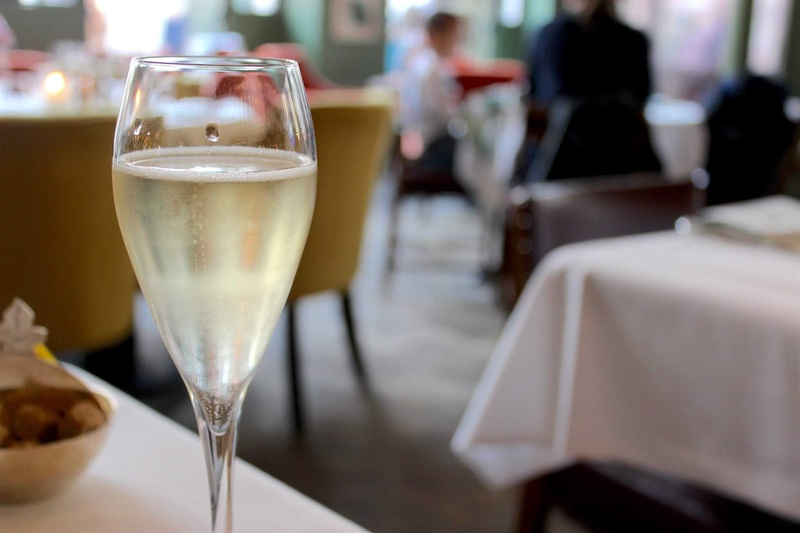 Compared to some of our other recent excursions, it is quite a light afternoon tea offering, so we would probably recommend this more to regular tea-goers looking for a refined, yet informal pit stop whilst perusing York's cobbled streets. 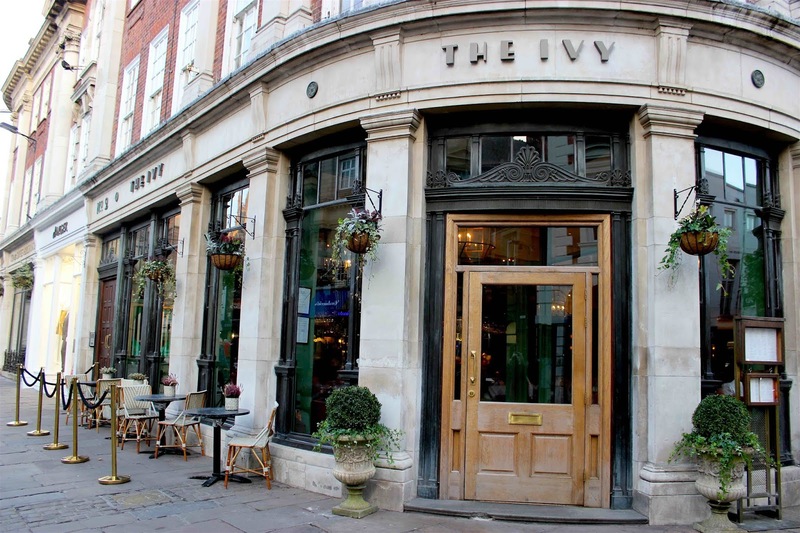 That said, where other venues might rely on novelties or themed teas to stand out from the crowd, The Ivy has certainly got the classics sorted and the style to go with it. We were kindly provided with a complimentary tea for review, but as usual, all thoughts and opinions are very much our own! 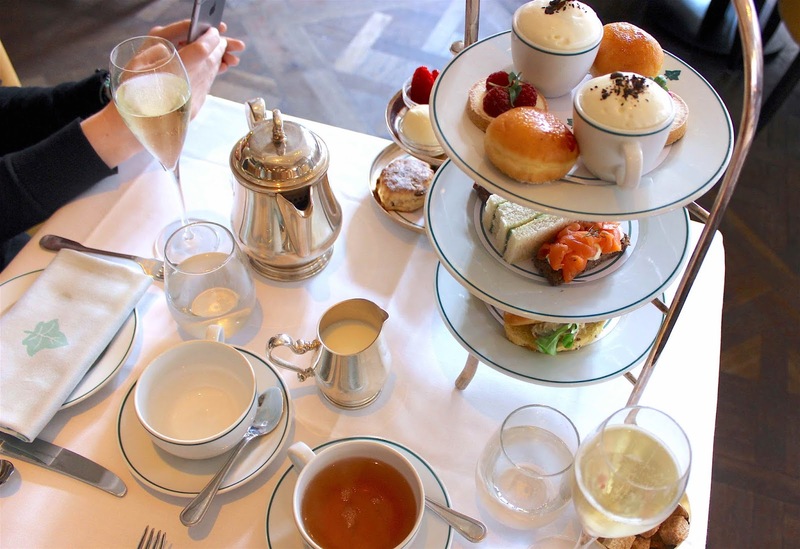 A stylish and elegant afternoon tea. Need to see if Manchester ivy does it. 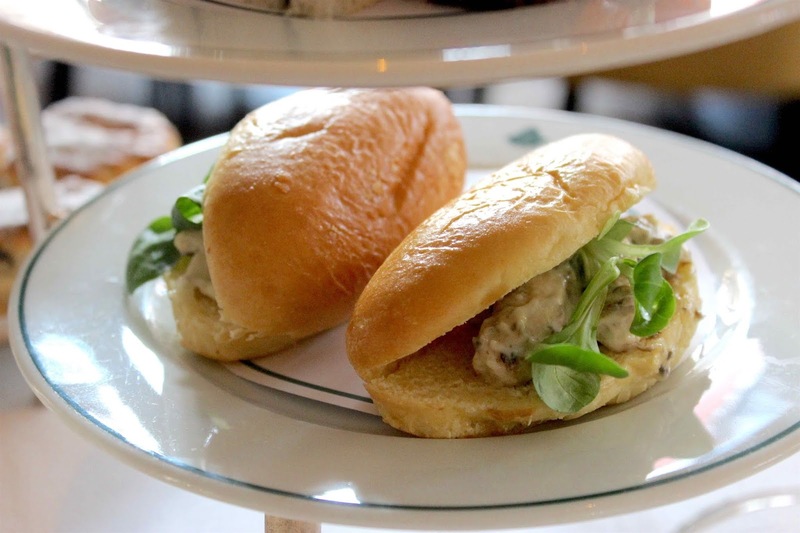 Those tea sandwiches (and champagne) look delicious!